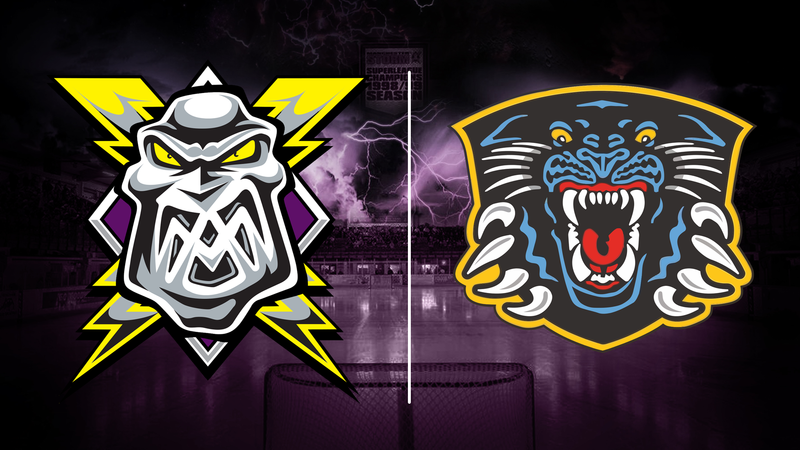 Your Go Goodwins sponsored Manchester Storm are back in action this Saturday as they take to the road, travelling to Nottingham for a combined Challenge Cup & Elite League game (7 pm Face-Off). Both teams are tied on 4 points in Challenge Cup Group B, however the Storm have only played 3 games, 1 game fewer than the Panthers. A win for either side would see them join Sheffield at the top of the group on 6 points and they would be one step closer to a quarter final match-up. In the league, Nottingham are sitting at the top with 8 points from 5 games, whilst the Storm have 3 points from 3 games. Both teams will be looking for victory, and these early games are key to getting ahead of the pack in the chase for the title. This game is the first clash of the season between the two teams, and both have looked impressive so far this season. Nottingham are coming off a successful weekend, beating the Sheffield Steelers 4-3 last Saturday before travelling to Coventry and getting another 2 points in a 5-3 victory, with goals coming from a range of players, including defencemen Spang, Waugh, and Dimmen, highlighting the depth present in the Nottingham squad. The Panthers will be without Sam Oakford this weekend, as he departed the club to concentrate on his teaching career. The Storm had a frustrating weekend last time out, losing 5-3 at home to Braehead in a tight game, before taking the game to OT in Edinburgh, eventually losing in the lottery of penalty shots, but still securing a point on the road. Eric Neilson got his first Elite League goal against Braehead, whilst the impressive Cody Cartier added to his tally also. Despite a further goal from Mario Trabucco it was not enough to overcome the Clan who scored a late empty net goal. The game on Sunday could have gone either way, with the bounces not coming for the Storm. Cody Cartier grabbed another goal, taking him to 4 goals in 6 games so far, and Trevor Johnson scored his first Storm goal as the game finished 2-2 before the Capitals won on penalties. Both teams will be aiming to qualify for the Challenge Cup quarter final, and a victory in this game would be a vital step to making the next round. One to watch: Brian McGrattan is one of the few players in the Elite League to have spent significant time in the NHL, playing a total of 317 games for Ottawa, Nashville, and Calgary. He has also played over 300 games in the American Hockey League scoring 45 goals and adding 40 assists, as well as spending over 1,300 minutes in the penalty box. SPONSORSHIP- HOUSE OF FINESSE CUT A NEW DEAL WITH STORM!